Sam Clar Office Furniture expands its expertise in providing complete design and furniture solutions to the education sector with the addition of Kristi Shanahan. 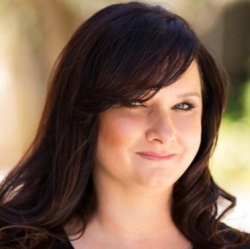 Concord, CA, March 04, 2019 --(PR.com)-- Sam Clar Office Furniture Inc., a Northern California contract furniture dealer, today announced that Kristi Shanahan will join the Sam Clar team as a New Business Development Executive, focusing on the education sector. Kristi will cover Northern California, including the Central Valley and Central Coast areas. “Kristi Shanahan brings a strong 16 year track-record of success in the education sector, and her focus on delivering creative and innovative design and furniture solutions to her clients aligns perfectly with our company direction,” said John Schwartz, president & CEO of Sam Clar. “The addition of Ms. Shanahan, now allows us to better service our clients in the growing Central Valley and Central Coast areas, as well as supplement our existing Bay Area client base,” Schwartz said. Ms. Shanahan will divide her time between the Central Valley and the San Francisco Bay Area region.